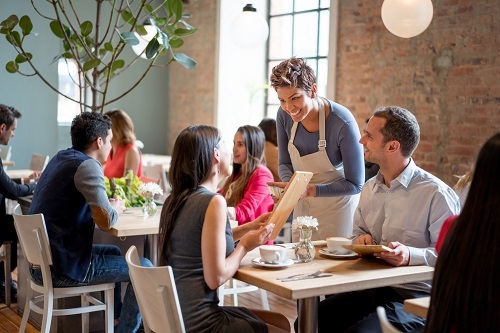 Wait staff have long known that their tips will be higher if they go to great lengths to fix a mistake they made with your meal order. An urban legend suggests that some waiters make mistakes on purpose so they can wow you with an exceptional response to your concerns. They find their tips are higher with excellent service recovery than if there was no mix-up with your order at all! This scenario is called the service recovery paradox. A customer will think more highly of an organization after it corrects a problem with its service, compared to how the customer would have perceived the organization if no service failure had happened. Needless to say, no ECP could ethically conceive of deliberately staging service failures. So how can this phenomenon be relevant to us? What ECP’s can do with this knowledge is to manage our rare but inevitable service failures as effectively as possible. We can benefit from the same halo effect by converting glitches into golden opportunities. To be successful with service recovery we need to understand that consumer dissatisfaction styles fall into four distinct groups and respond to each group appropriately. Passives are the non-complainers. You won’t hear anything from them. You won’t even know they had a problem. And they won’t be back. We’ve all met people who bought glasses two years ago ‘somewhere else’ and never wore them because they felt something wasn’t quite right. Over 70 percent of consumers who experience a service failure never complain directly to the manufacturer or seller. It’s common to underestimate how many of our own patients are in this category. Routine follow-up calls asking them to rate the main aspects of your products and services are the best way to reach this group. You may offer them immediate low-cost remedies for any dissatisfaction you uncover but they are unlikely to return. Use this feedback to improve your service and the customer’s perception of your business. Voicers complain directly to you and expect you to fix the problem. These consumers don’t want to switch to another ECP, nor do they want to spread bad reviews. They definitely won’t ‘go public’. You will benefit the most from the service recovery paradox if you make the voicer style the most attractive choice for your patients. Do this by working to convince everyone who interacts with your practice that you welcome complaints and that they will be handled seriously. Easy-to-use non-confrontational methods of eliciting feedback like anonymous checklists in-store or on social media are essential to encourage voicers. Handled graciously, this group will become your most vocal advocates. Irates are the angry consumers who not only complain to you but will spread negative word of mouth to friends and relatives. They will, however, stop short of complaining publicly to regulators or other third parties. You’ll need to roll out a well-planned, comprehensive complaint management system to manage service recovery with this group both in person and on social media. It is best to be prepared with ‘over and above’ compensation for their perceived aggravation before their complaints go viral. Activists are dissatisfied consumers who use all available channels for complaining (the Better Business Bureau, traditional and social media, regulatory bodies). They believe they should not only look after their own issue but take care of all the other customers who might possibly have had issues with your service— perhaps even with your inability to overcome the laws of optics! Proceed swiftly with the same response as with the previous group, however, be prepared to raise the stakes with appropriate mediation and/or legal representation. Remember that it is essential to keep an open mind towards complaining customers instead of regarding them as costly, difficult, or a psychological strain. Hug your haters: they offer insights for improvement and will be extremely loyal if you deal with service issues promptly and fairly.